In Hooked! 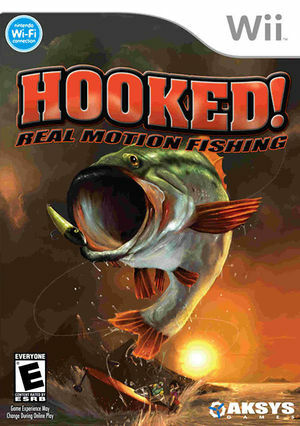 Real Motion Fishing enjoy the thrill of catching fish without the mess of cleaning them! With this unique Wii fishing game, the Wii Remote and Nunchuk controllers will allow players to relive all the excitement and tension of fishing in the comfort of their own living room. Explore 6 photo-realistic lakes, from a meteorite crater turned lake to a man-made recreational reservoir. The graph below charts the compatibility with Hooked! Real Motion Fishing since Dolphin's 2.0 release, listing revisions only where a compatibility change occurred. This page was last edited on 11 January 2018, at 12:16.